Coping with kids’ boredom – in the car, on the checkout line, even on vacation – is among the most stubborn facts of modern family life. Luckily, there’s an app for that now. In fact, there are literally millions of them, and counting. Many are worthy. Educational even. And genuinely, gratifyingly absorbing for young minds. Surrounded by such digital richness, no child – or at least no middle-class child – need ever be bored again. That’s the good news. Weirdly, it’s also the bad news. Because mounting scientific evidence suggests that children need boredom to function at their highest levels. To develop creativity, to awaken curiosity, to spur resourcefulness. Think about it. Innovation, originality, self-regulation and the capacity for critical reflection - aka thinking – all spring from our capacity to sit with ourselves. To stare blankly into space, not screens. To daydream, earbud-free. 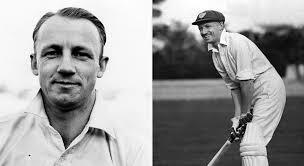 Cricketing great Sir Don Bradman credited an under-stimulating bush childhood with his astounding skill as a batsman. Hitting a ball with a stick was literally all he did for fun for tens of thousands of hours. Deprivation? Maybe. But just think how a Nintendo Wii might have changed the course of sporting history. No wonder imaging studies of “bored” brains reveal such high levels of subliminal activity – or that researchers increasingly believe that boredom is to the mind what sleep is to the body: a complex, restorative state in which information is synthesized and new connections wired. Oh, and here’s an irony for you. Have you ever noticed that the more “boredom busters” you supply, the lower your child’s threshold seems to go? It’s like a boredom arms race. As stockpiles of gadgetry, toys, lessons and equipment mount up – so does the threat of annihilation. It’s not just your kid. It’s all of us. That’s how boredom works. What we dismiss as “doing nothing” or “staring into space” was once esteemed as “reverie.” (The word “boredom” did not enter written English til 1852. And much before the 17th century, there was literally no such experience!) And it is that distinctive type of downtime – a kind of mindful mindlessness - that is especially at risk in the dataclysm of our children’s increasingly hyper-connected lives. What does your child really mean when she moans that she is “bored” – or flings the judgment “BORE-ing!” at any life experience that does not involve a wifi signal and an on-off button? This is a tough one, because these words are prone to become a catch-all for a bewildering diversity of emotional states, ranging from confusion to fear to hostility. Did you know that kids who complain that they are “bored” at school may be genuinely under-stimulated – OR in so far over their heads they have given up the struggle? Boredom is often the glaze we apply to an underlying lack of understanding or insight. (Abstract painting, for example, is “boring” to anyone who assumes the purpose of art is to represent the world we recognise. Geometry is “boring” if you never get to the last stage of the proof.) And – weirdly enough – boredom, particularly children’s boredom, can quickly develop into a power play. If you’ve ever wondered, a trifle guiltily, if managing your child’s boredom was at some level a control issue - a gauntlet thrown down as a challenge to your parental mettle or even to the quality of your love … well, wonder no more. It is often exactly that. Not in some conniving, conscious sense. But subtly, unconsciously. You want your child to be engaged and stimulated. So it’s no wonder you take his boredom seriously. That you look for ways of “fixing it” with activities or playdates or (easiest of all) technology. That you develop a fear of your children’s boredom, and strive to prevent it at almost any cost. Before you know it, you are the Minister for Entertainment – and engaging your child’s imagination has become your portfolio. Or, to change the metaphor, have you ever caught yourself pitching ideas to your kid, like a too-eager screenwriter to a fat-cat producer? I thought so. Haven’t we all? Samuel Johnson observed, “It is every man’s duty to assume the moral responsibility for his own boredom.” Ultimately, I would argue, it is every child’s duty to do the same – and every parent’s duty to help them learn how. There are some pretty exciting reasons why this is so. Research by Teresa Belton at the University of East Anglia showed that boredom can – paradoxically enough – stimulate the imagination and motivate people to break out of tedious routines. Belton recently interviewed people known for their creative success, including an artist, a novelist, a poet and a neuroscientist. "They all said boredom can instigate new thinking and prod them into trying new things," she says. 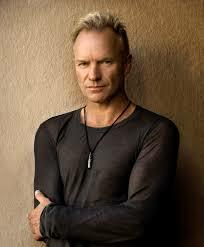 Without the blank spaces of a "boring" childhood, Sting might never have become, well, Sting. Psychotherapist and author Adam Phillips concurs. “The capacity to be bored can be a developmental achievement for the child,” he insists. “In the muffled, sometimes irritable confusion of boredom the child is reaching to a recurrent sense of emptiness out of which his real desire can crystallize.” Depriving a child of this space – which we dishonor with the off-hand designation “downtime” – is a serious (though understandable) mistake. Is it true, as some parents glibly insist, that “there is no such thing as boredom – only boring people?” Admittedly, it’s a good line. But the science suggests otherwise. Boredom is real. And not only real but potentially really important to our capacity to think and create and achieve mastery. Like a fallow field, the mind of a “bored” child may seem unproductive – but deep transformations are taking place just below the surface. Allowing your kids to experience “the presence of an absence” – whether that means staring out the window in the backseat of the car, making shadow puppets on the wall of a sun-filled bedroom, or idly watching a line of ants on drill parade – is a parental duty you may never have thought about before. Today, our always-connected offspring process more information in a day than previous generations did in a lifetime. In some ways, boredom has never been less of a problem – and more of an opportunity. An earlier version of this article appeared originally in Sydney’s Child. It is re-printed by permission of the author.